Discussion in 'Alternate History Maps and Graphics' started by Transparent Blue, Oct 4, 2009. In TTL, the power in postwar Weimar Republic was seized by militant conservatives more akin to Italian fascists. Although WWII began and ended in a fairly similar way, there was nothing on the scale of genocidal practices in OTL. Thus, the ideas behind eugenics were not discredited as they were in OTL. Instead, German specialists in the areas of evolutionary biology, embryology and early genetics were among those scientists recruited by victorious Allies. The discovery of DNA some years after the war was seen as a vindication of the ideas of eugenics. This led to the adoption of eugenics programmes at least in some form in every member state of the UN. International Fund for Human Development, a specialized agency of the UN was established in 1955. It aims to promote and coordinate the development of science and policy in the field of eugenics. It also funds promising research in the field and offers assistance to less developed nations in setting up their own eugenics programmes. The flag of IFHD features a golden tree, an old symbol of eugenics that predates the discovery of genetics. The blue field with a horizontal white stripe and a white circle symbolizing the world are symbols of the UN. Joe_Ladder, Rarayn and Alan Hardy like this. No way, I think we have several interesting choices this time. But thanks! I've finally updated all the documentation significantly. I've been planning to do so ever since we switched software. It should reflect the latest rules and additions much better now. 150 rounds already... This contest has certainly grown over these seven years ! Voting thread is up ! Indeed. Almost 6 but couldn't get my ideas flowing. 150 rounds already... This contest has certainly grown over these nine years ! I take that back. Only 7 years. Make a flag for a theocratic Christian state. God Wills It! During the Joseon Era of Korea, Christianity faced unprecedented growth in an Oriental nation as a visiting Protestant missionary converted the young and impressionable Prince and later King Cheoljong, sometimes called by his Anglicized name, King Charles Jong I, in reference to both phonetic similarity, and to St. Charles Hyun Song-mun, beginning a tradition of Koreans having two names: their Christian name for private use and their Korean name for public use. While the dynasty would still fall, by the end of the Joseon Era, Korea had gained a predominantly Christian society, particularly in the south. Once occupied by Japan, the Korean Christians would face much persecution, but this would ironically only grow and radicalize the faith, with Christians leading the revolts against the Japanese all the way until proper independence in the southern half of the peninsula. In the aftermath of World War II, the Union of Soviet Socialist Republics (USSR) under Chairman-Secretary Georgy Zhukov occupied the northern half of the peninsula, and the United States of America (USA) under President Franklin D. Roosevelt occupied the South jointly with the German National Socialist Republic under Fuhrer Henning von Tresckow. In the North, due to lessened infrastructural loss and greater agricultural output, the Soviets were able to spin a puppet state first, and created the Korean Workers' Republic (KWR) under Chairman-Secretary Cho Man-sik, which began a hardline stance against religion and especially Christianity: in the North, as the war began to wane the Japanese began using spies in Christian Sermons infiltrating the resistance easily via this method, as well as having collaborators come in as priests and begin preaching that God had decreed the Korean people fight for their righteous rulers. Seeing this as evidence of religion being only a means of control, the Man-sik administration demonized all forms of faith and instituted a tax upon those who officially called themselves any denomination of any faith, with a ban on proselytizing and preaching of all kinds. The religious were deemed not to be trusted, and were the first on the list of suspected "Traitors of the People." In 2012, the death of Patriarch Charles Park saw him succeeded by James Kim (Korean name: Kim Jong-nam), who announced that the Supreme Diet would be suspended until further notice, as investigations revealed that the previous, 94-year old leader had not died of old age, but was rather poisoned by ambitious young officials (allegations that Kim was one of these and has now simply turned in his old conspirators have, of course, been denied). This has not helped the nation's pariah state status, especially following its testing of "Peacemaker" atomic bombs and harsh obedience to Biblical Law, with stonings being televised daily. The term "Righteous Korea" was used initially to speak of all of Korea as being simply a "righteous nation." However, as the Cold War continued, the term increasingly and quickly came to represent the idea that the southern state was the better of the two, and the one on the correct path. The North has since liberalized, officially becoming the Democracy of Free Korea in 2002. Today, most people refer to the nations as "Free Korea" and "Righteous Korea", which has replaced the old terms of "Red Korea" and "Divine Korea". The new generation have begun a new name trend: "Right Korea" (from Righteous) and "Left Korea" (both as a pun and in reference to its far-left past and current leftist political culture). Joe_Ladder, Sir Prizing, wildviper121 and 4 others like this. In our timeline, countries from western or southern Europe were colonizing the Americas. In this OTL, countries from eastern Europe were joining in on the craze. Eastern orthodox followers from eastern europe and oppressed refugees from the rest of Europe were sailing to the new world to spread their faith like how other pilgrims spread Catholicism and Protestantism. One of the colonies formed was the New World Holy Republic (NWHR). It actually was technically a republic, but in the form of colonial governance much like the kind seen in other new world settlements. The state had no official language, but the most common languages were Greek and Russian, the languages spoken by the migrants coming from the old world. Later on, this colony would break away from whichever government was their masters to either form their own nation, join the US or join another formal colonial nation. 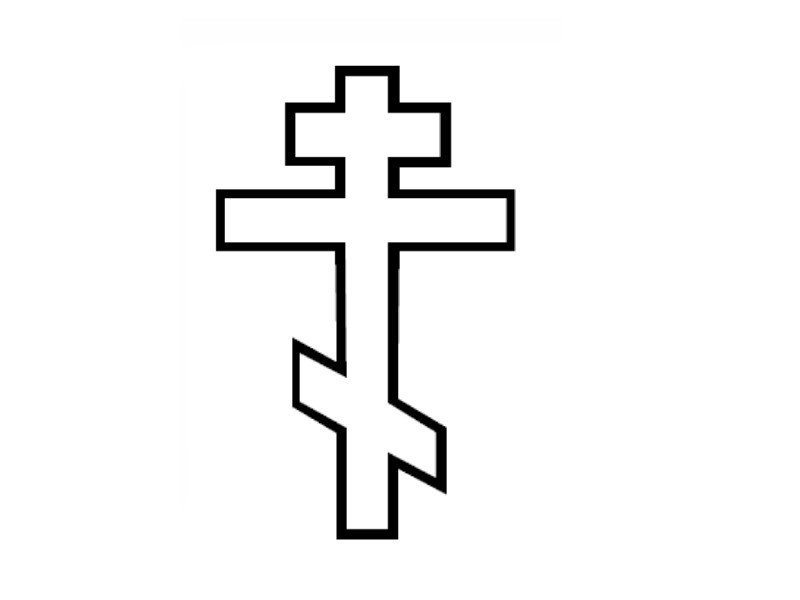 The black cross on the golden background is a tribute to the colours of the flags of both the Greek orthodox church and the Russian imperial flag. While the red stripe and ring represents the blood spilled by the colonists in a number of great battles occurring on American soil, its diagonal stance is also a nod to the diagonal line on the orthodox cross. The white circle in the middle of the flag represents a single bullet hole / burn mark, again signifying colonial wars or battles. The kingdom was formed with the unification of the Holy Land Crusader States in the late 1800s. While the king has full secular and military authority the kingdom is considered a protectorate of the Papal States. Without the petty squabbles of the individual Crusader States the focus was now to protect the Holy Land from invaders. For the next two hundred years the kingdom fought off invasion from the Muslim empires of the Persians and the Egyptians. However, recently radical sects of Muslims have been attempting to use terror to force the Christians out as all other methods have failed to produce an effect. ITTL, the Knights of Malta sell only St. Croix and St. Kitts to the French West India Company, retaining the islands of St. Martin and St. Barthelemy. The Order later loses Malta in the Napoleonic Wars as in OTL. Sovereignity is not restored and the Order transfers its operations to the islands, takes its current name and adopts the flag shown to symbolize ownership of its two Caribbean possessions. Executive, legislative and judicial power is vested in the Grand Master of the Order, but after the franchise was granted to all Catholic men in 1925 (and extended to Catholic women in 1986) district councils were vested with a fair amount of local authority. In practice, this is nearly universal suffrage, since approximately 99% of the population is Catholic. Of all the 12th century crusader states, no one would have guessed that Antioch was going to be the sole survivor. Historians like to point out how the early principality shrewdly played off the Byzantine Empire and the Kingdom of Jerusalem against each other. The amazing fortifications of Antioch itself that were constantly added on over the centuries undoubtedly helped the young kingdom survive countless sieges. Most importantly, the kingdom never alienated neither the local population of Orthodox Greeks nor the Holy See of Rome. This was probably the most important balancing act and the one that allowed it to endure, even as the others fell. The flag of Kingdom of Antioch features a black cross on white, a symbol that goes back to the very first Siege of Antioch in 1098, where the Muslim besiegers were miraculously routed under that banner. A golden crown on black was added when it was agreed that the principality would become a Kingdom, nominally under papal control but independent in practice. It is known as one of the few flags in the world that is only ever flown vertically. Quite a bit of variety here! Crusader States, Caribbean Knights, Orthodox Colonies, oh my! All pre-20th Century POD as well. And then, well, I did Korea.